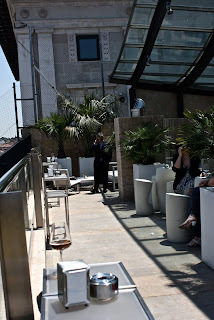 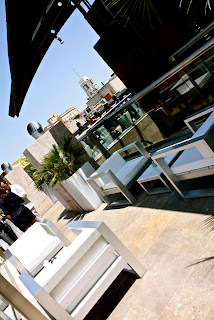 Oooh lala, Madrid in the summer time...Long hot days on the street should inevitably take you to a terrace with views, a nice cold drink, and good music. 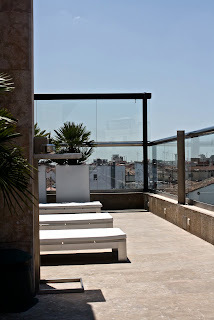 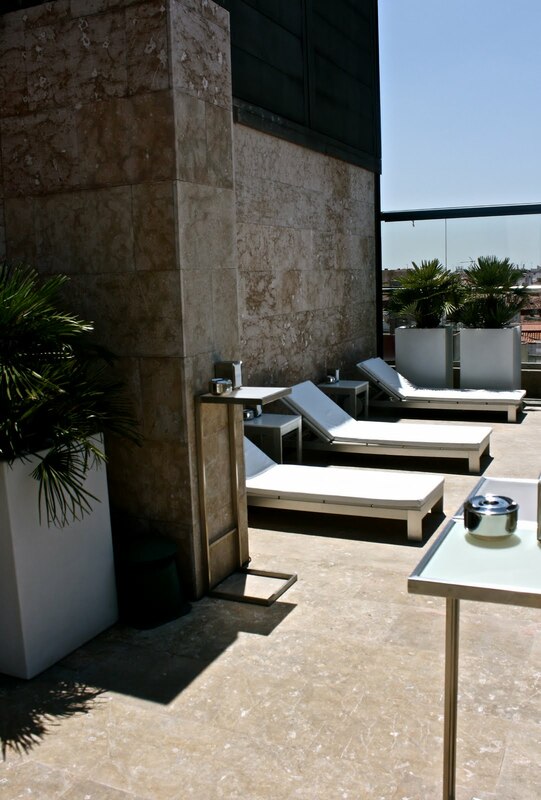 Hotel URBAN has a cool, chic, and retro terrace just for you. 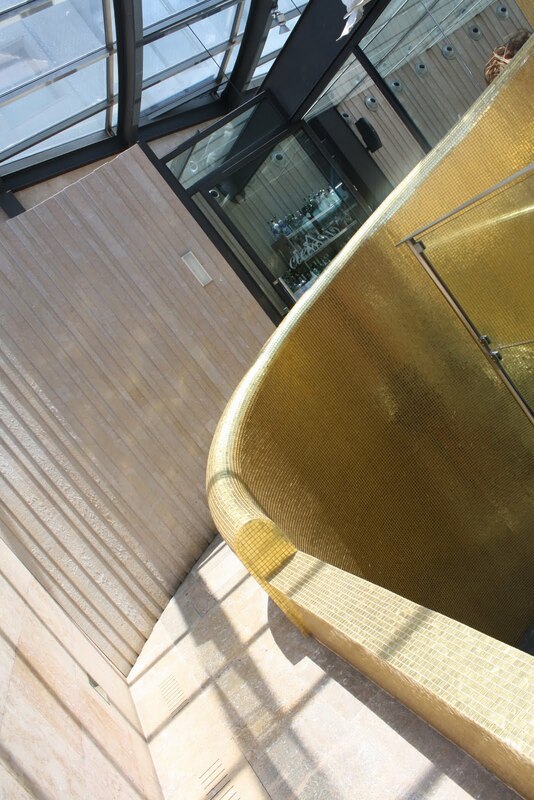 The geometric forms and metallic colors together make the terrace of this avant garde hotel a unique experience. 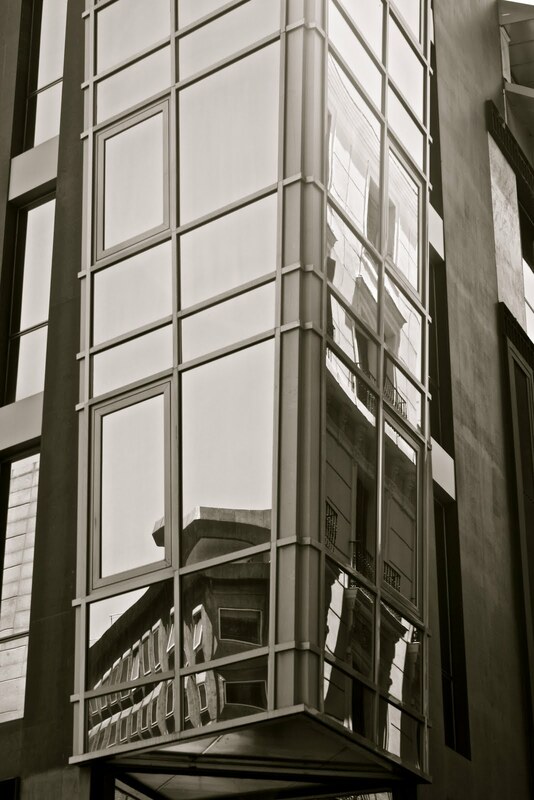 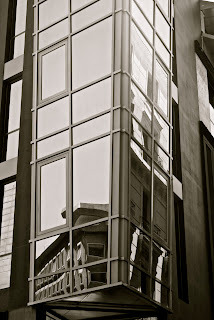 The terrace is an architectural masterpiece that adds even more to the social atmosphere. 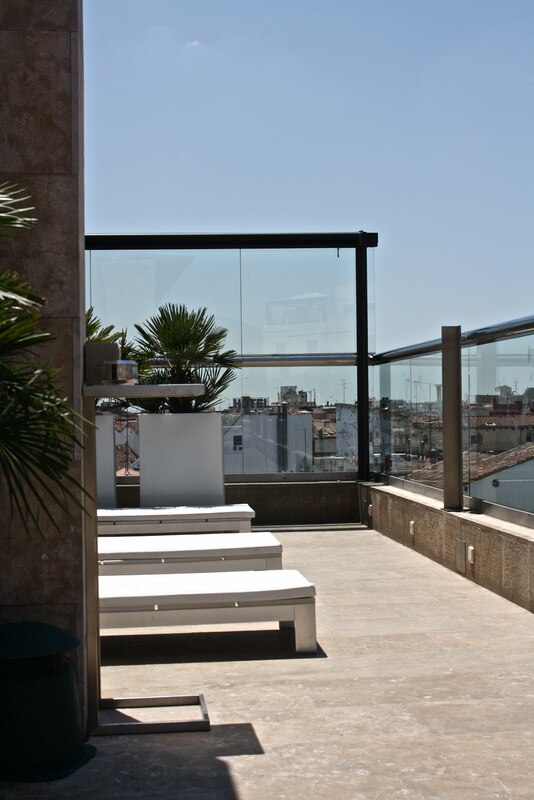 This terrace has an aesthetically appealing touch. 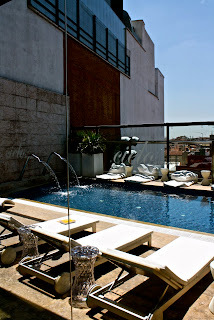 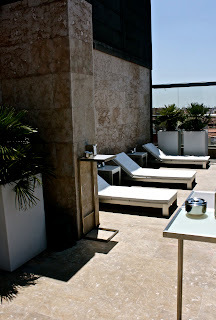 Come enjoy a drink, a dip in the pool, or simply divulge yourself within the views of Madrid.